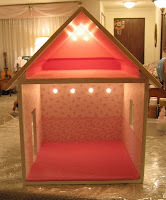 Here's a picture of another miniature one room + attic doll house for you to look at for ideas... 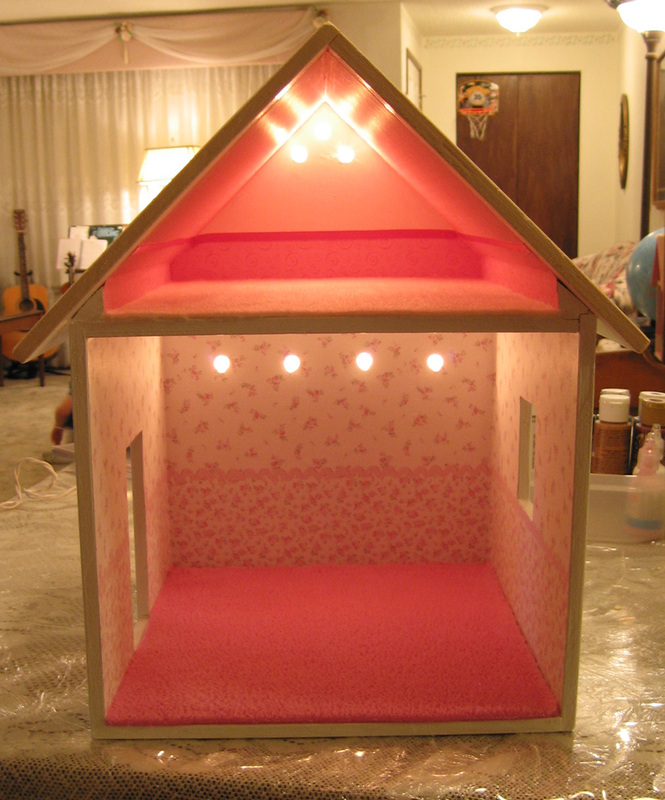 The attic is scrap booking paper with a ribbon border where the two scrapbooking papers meet. The main room is wallpaper I created and is available for free from an earlier post. The attic carpet is cream colored fleece. The main room carpet is some "plush" material from Wal-Mart. I just found your site and I think it is wonderful!! Such great prices!! My daughter is only 19 months old so I wont be purchasing a house this year, But I will definatly keep you guys in mind for next Christmas!! God bless!